It was 10 years ago, but Kathy Houng ‘10 still vividly remembers the bus ride to her Global Health Summer Program learning placement in rural northern Tanzania. When she finally arrived, she met with a representative of an international nonprofit providing HIV/AIDS treatment and prevention services to the wives and children of men working in Dar es Salaam and Zanzibar, on Tanzania’s east coast. It was an object lesson in one of the fundamental principles of public health: context matters. Every patient is enmeshed in a complex web of family, community, culture, geography, infrastructure, economy and history. It is something Houng, who now works as a nurse practitioner with immigrant families in Philadelphia, is reminded of every day. The Global Health Summer Program in Tanzania turned 10 years old last summer. It serves both Cornell undergraduates and fourth-year medical students at Kilimanjaro Christian Medical University College (KCMUCo) in the small northeastern city of Moshi, on the flanks of Mt. Kilimanjaro, Africa’s highest mountain. To date, 138 Cornell students and 140 KCMUCo students have participated. For the Cornell students, the eight-week program fulfills the experiential learning requirement for the Global and Public Health Sciences major and the Global Health minor in the Division of Nutritional Sciences (College of Human Ecology and College of Agriculture and Life Sciences). Students also may enroll in programs in the Dominican Republic, India or Zambia. The Tanzania program grew out of a seed grant from the Mario Einaudi Center for International Studies. From the beginning, Moseley says, it has been built on the principles of openness, reciprocity, innovation and critical self-reflection. Those principles are integral to the student experience; they also drive the evolution of the program itself. The program is divided into two segments. For the first four weeks, students from both universities work in small teams on a specific global health issue. They meet with stakeholders (health practitioners, policy makers, nonprofit representatives, others), debate the issues and produce a case report complete with policy recommendations. To date, 138 Cornell students and 140 KCMUCo students have participated in the Tanzania summer program. Among the 60 topics investigated to date are childhood stunting, maternal mortality, mental health services, emergency care, blindness, HIV/AIDS, albinism, breastfeeding, teen pregnancy, geriatric care and domestic violence. The KCMUCo students then go back to their medical studies while the Cornell students spend the next four weeks doing hands-on work with local nongovernmental organizations. They live with host families and operate as much as possible in Kiswahili, the local language. Honest Massawe, MD, was a classmate of Kathy Houng in the program's inaugural cohort in 2009. The following year, he spent a month at Cornell as a visiting scholar, interacting with faculty and students on campus. Today he is a pediatric surgeon and medical school professor. “The Cornell collaboration introduced the world to me,” Massawe says. “It changed the way I see things, the way I judge things.” He credits the cross-cultural teamwork and critical reflection for influencing both his work and his teaching. Recently, Massawe has been meeting with the Tanzanian Ministry of Health to share his ideas on how to address the overuse of antibiotics in the country. He says he never would have considered trying to affect change at such a scale if he hadn’t gone through the Global Health summer program. Caleb Joel, MD, a KCMUCo graduate who participated in 2016, worked on a student team studying barriers to care and support for people with physical disabilities. The next year, he was invited to present the group’s findings at the annual conference of the Consortium of Universities for Global Health in Washington, D.C.—that was the first time he had traveled outside Tanzania. In 2018, he attended the consortium’s ninth annual conference in New York. Although he still plans to practice medicine, Joel has enrolled in a public health master’s program in Tanzania, and he is determined to continue working on disability issues. “It’s the Global Health program that started all this,” he declares. Cornell student Jenny DiPietro ’17 was in Joel’s group. She says the program changed her life, too. 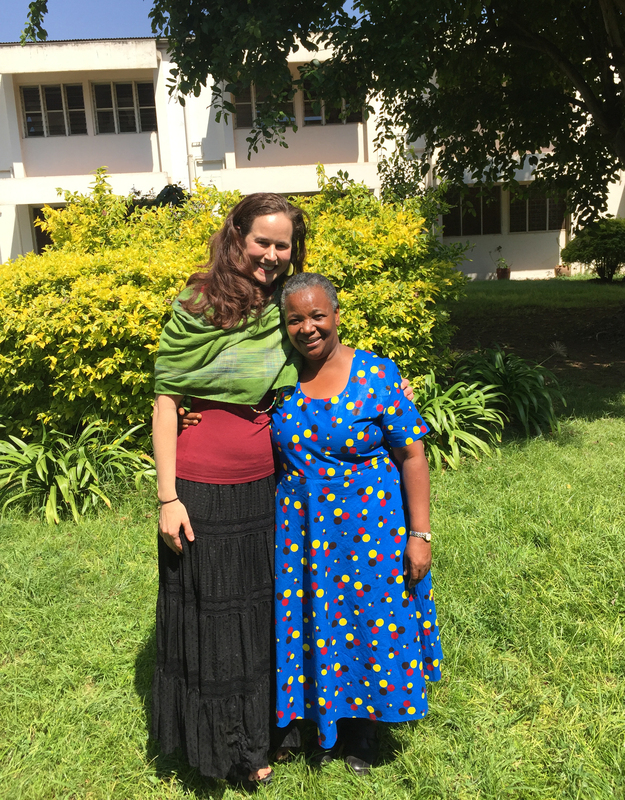 Among the highlights, she cites: living with her Tanzanian host family where “the hospitality is unreal,” interviewing community stakeholders and spending time trailing nurses, doctors and midwives at a local hospital. The delivery went well, and the baby and mother were fine. But DiPietro had found a calling. “I really credit that experience with pushing me toward maternal and child health, and especially reproductive health,” she says. She expects to attend medical school next year, ideally in a program that offers a supplementary degree in public or population health. Many of the Cornell participants report the same sort of career recalibration. Psychology major Soumeeka Koneru ‘20 took part in the program in 2018 and did her service learning in a center for children with disabilities. When director Moseley looks back at the program’s first decade, she can’t help but take pride in the number of lives and careers it has influenced. But she also is struck by what the students have given back. Opportunities: Gain broad knowledge about global health issues in the Tanzanian context. Live with a family, work with Tanzanian students on a health policy case study during a four-week course at KCMUCo, then contribute 160 hours of service to a local organization. Opportunities: Live with a family, conduct qualitative research as part of a cross-cultural team and participate in community rotations and workshops on holistic medicine. Participate in retreats and other critical reflection exercises, both in Spanish and English. Opportunities: Gain broad knowledge about health in the Indian context by participating in service projects with indigenous and rural populations. Take short courses on Indian healthcare, gender roles, and culture and civilization. Perform service work at a SVYM project site. Opportunities: Work in pairs to complete a research project on a global health issue in Zambia, write a paper and present the findings to stakeholders. Past topics include epilepsy and stigma, nutrition education, the National Health Research Act and health accountability.